I was born in Dhaka, the capital of Bangladesh, in 1981. I started my visual techniques as a Photographer in 2001. I graduated from South Asian Institute of Photography (Pathshala). I always want to show a documentation of a culture with my photographs, to tell a story with my photographs with a messenger of the community. My philosophy is that it is essential for the photographer to create communication and trust with his subjects. I am worked as a freelancer in several Daily Newspapers in Bangladesh and International Magazines. My photographs has been published in Sunday Times Magazine, American Photo, National Geographic Society, Better Photography, Saudi Aramco World Magazine, Guardian, Telegraph, The Independent and The New Internationalist. 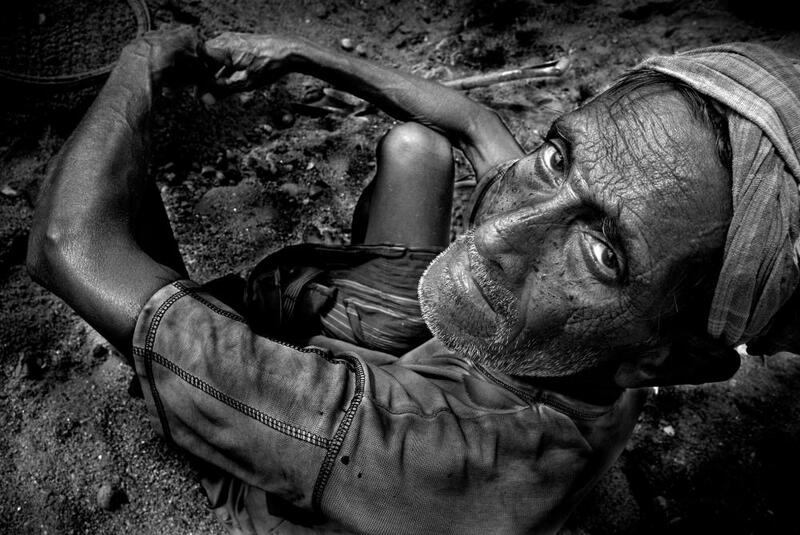 Photography has the visual power to educate by allowing us to enter the lives and experiences of others. 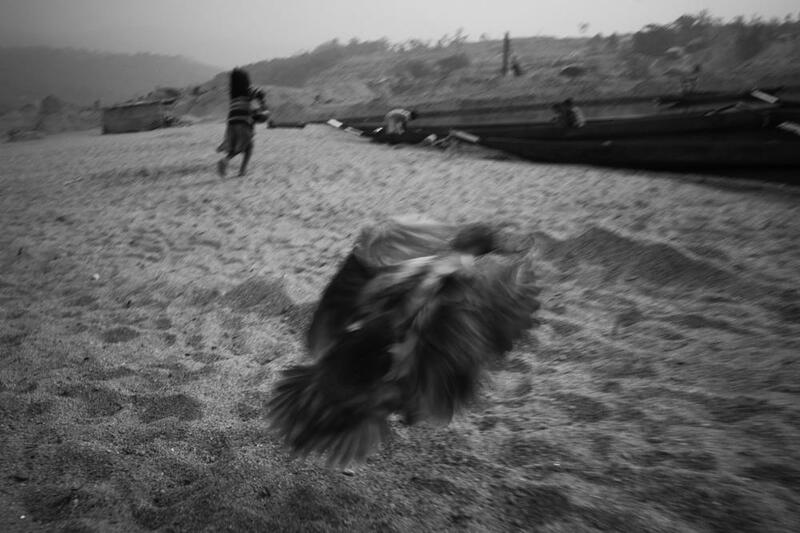 Through photography, I hope to help the society to empathize with hidden social, political and environmentally suffered people. My ongoing projects are ‘Jihad, a fighter of Disability’, ‘Living Stone’, and ‘Burning Nature, Warming Earth.’. It is important to realize that no documentation will ever be finished. This work informs my identity that has started from one point but has no ending. Living Stone: A Community Losing Its Life. 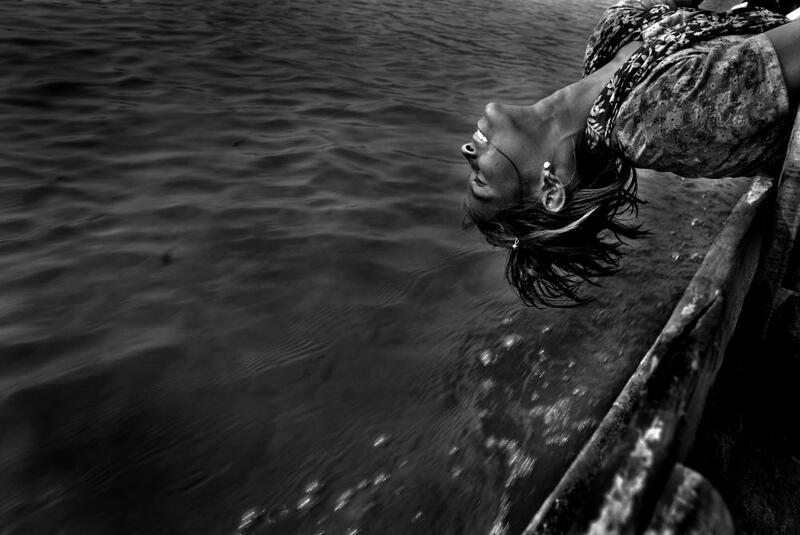 A Photo Documentary by Khaled Hasan. “Once upon a time there was a blue River that flowed in Jaflong, but now it is going to lose its natural beauty. 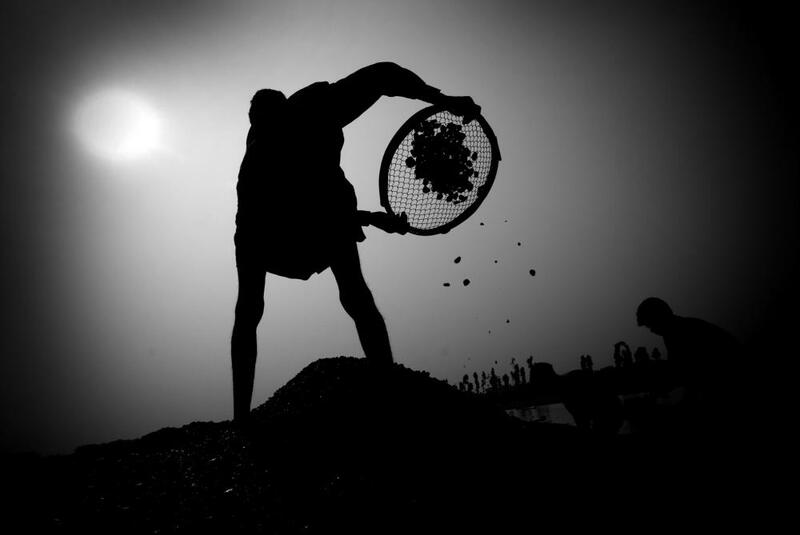 Uncontrolled stone-crushing threatens the local people’s health.” – Probal Das, a stone worker. The story which I emphasis on is about a hard work community of Jaflong, which is located on the north eastern part of Bangladesh. The Piyain River is the main feature and natural beauty of Jaflong which flows from India through Bangladesh. During the monsoon, the river currents wash down precious rocks and pebbles from India into Jaflong area. 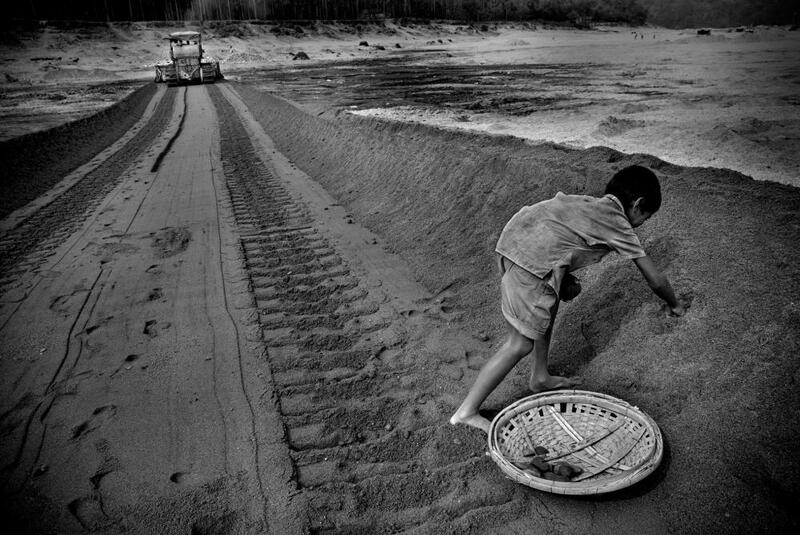 At dawn every day, more than a hundred little boats with laborers enter the Piyain River, buckets and spades in hand. This is one trade which has a geological limit. 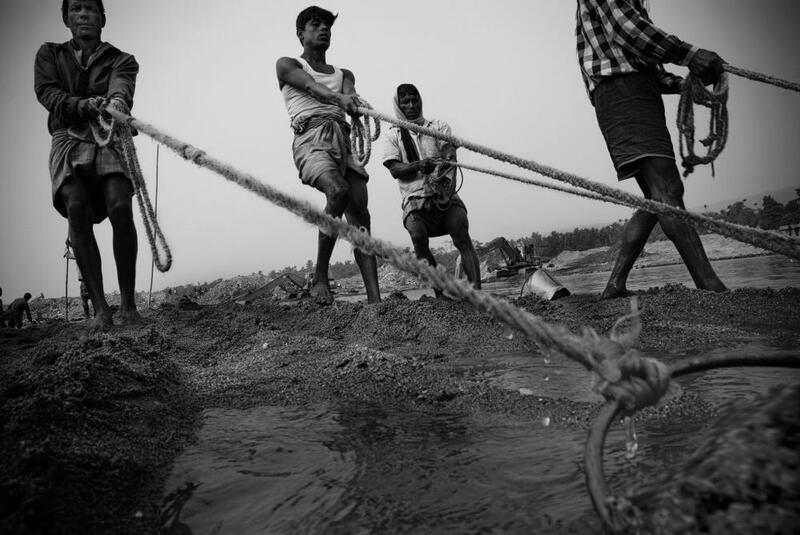 The stones that tumble down the riverbed from India are decreasing in volume and the laborers are already taking the risk of invading the no-man’s land along the Indo-Bangla border which is a contradictory political issue between Bangladesh and India. Many laborers were killed by BSF in that Borders Area. More than 5,000 men, women and child stone-laborers are engaged here. Uncontrolled and unstoppable stone extracting and crushing at Jaflong has been posing a serious threat to public health, and to the environment and agriculture in the area. 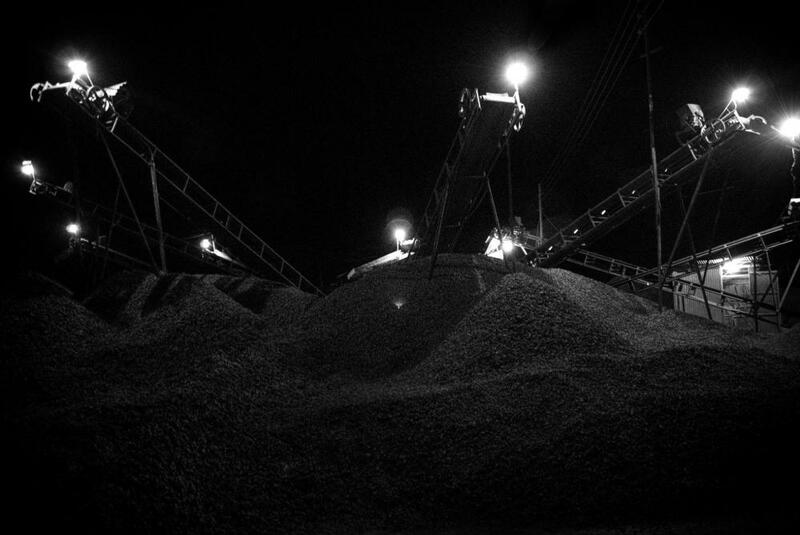 There is no legal protection and no human rights in this Stone Industry. Many children there have been suffering from hearing problems due to the high-pitched sounds of the stone-crushing machines. 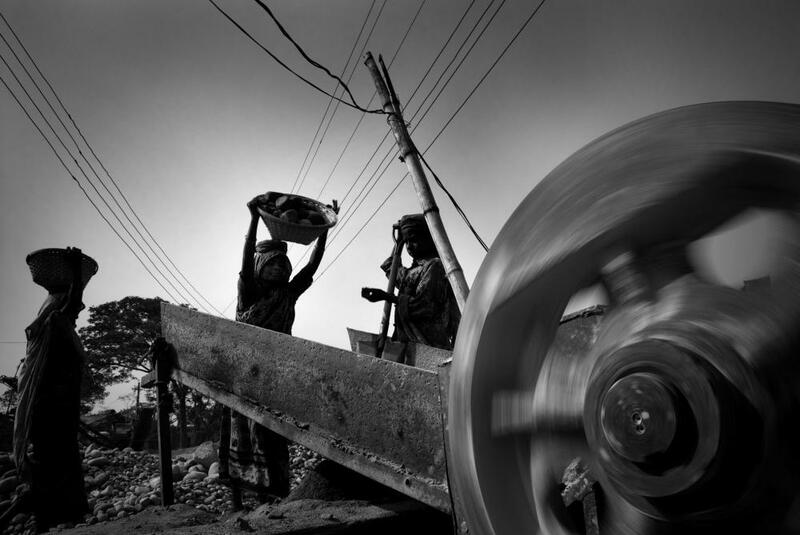 During my working from 2006 as many as 250 machines are engaged in crushing stone at Jaflong. Abul Hossain, a local, told me they cannot produce crops on their lands as dusts of crushed stones destroy all their efforts in this regard. 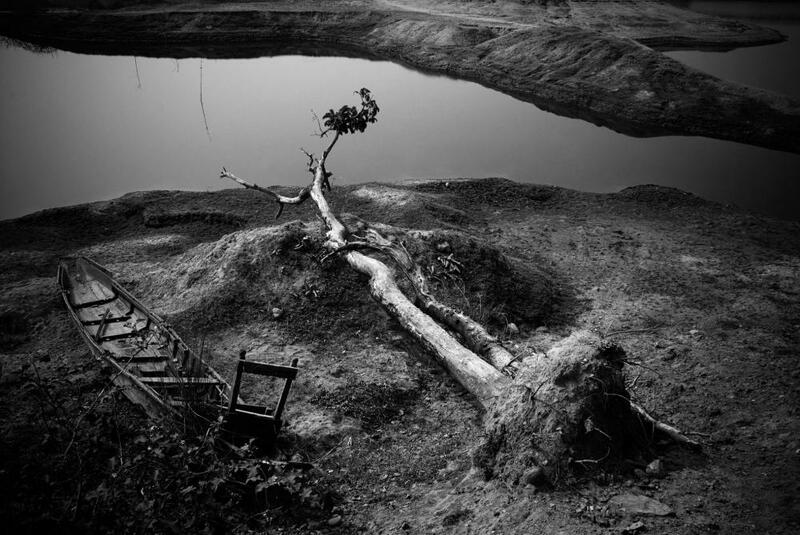 The Bangladeshi government has failed to take any initiative to prevent the stone-crushing industry at Jaflong and the resulting high rate of erosion which is threatening to destroy the adjacent Khasia (indigenous people) villages within the next 5 years. I realize their hassles, I saw their hard work and I saw their happy moments also. So, I want to visualize the facts of this suffering society and their personal feeling through my way in a little space. 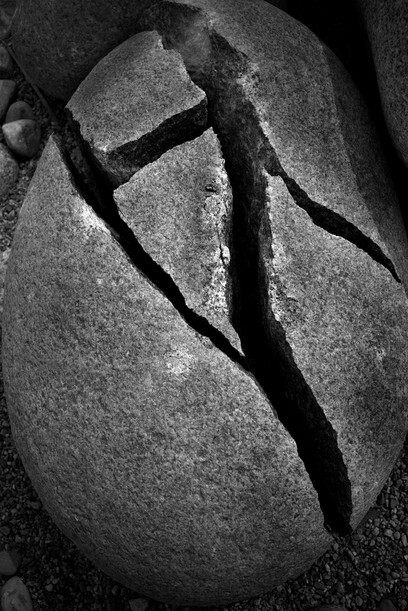 Exhibit Title: Living Stone: A Community Losing Its Life. The story which I emphasis on is about a hard working community of Jaflong, which is located on the northeastern part of Bangladesh. 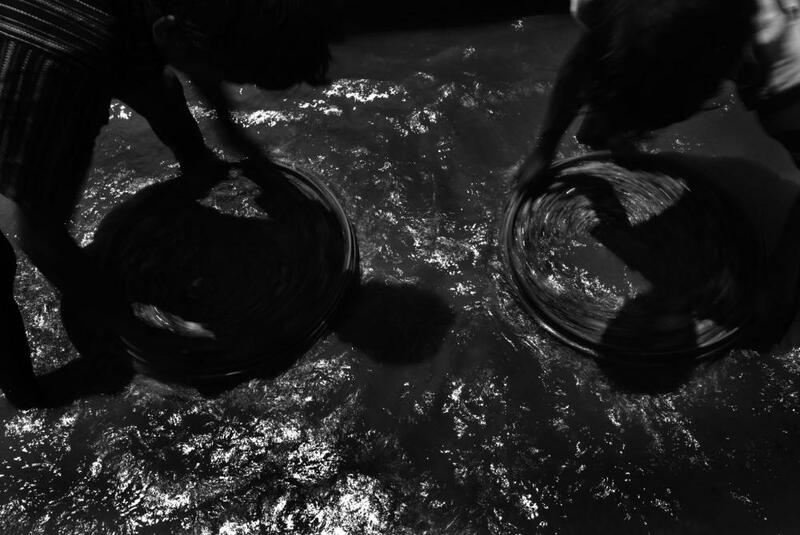 At dawn every day, more than a hundred little boats with laborers enter the Piyain River, buckets and spades in hand. This is one trade which has a geological limit. 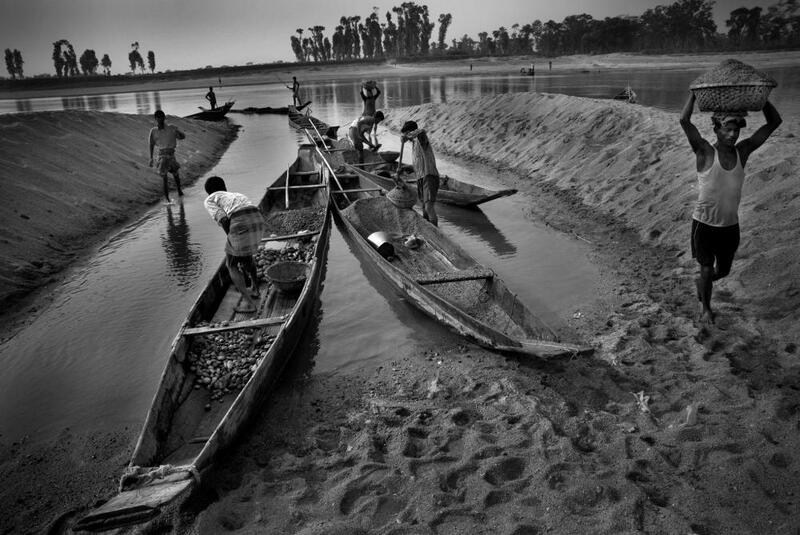 The stones that tumble down the riverbed from India are decreasing in volume and the laborers are already taking the risk of invading the no-man’s land along the Indo-Bangla border which is a contradictory political issue between Bangladesh and India. Many laborers were killed by BSF in that border area. More than 5,000 men, women and child stone-laborers are engaged here. Uncontrolled and unstoppable, stone extracting and crushing at Jaflong has been posing a serious threat to public health, and to the environment and agriculture in the area. 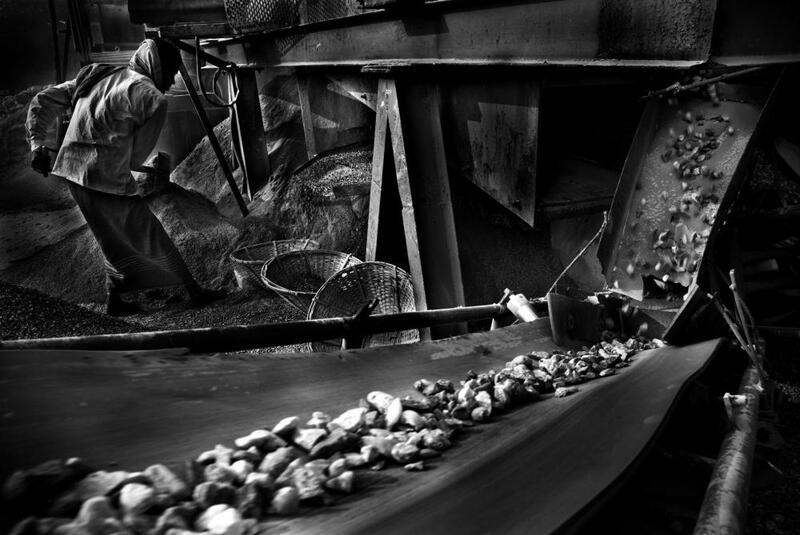 During my working from 2006 as many as 250 machines are engaged in crushing stone at Jaflong. Alfaj Hossain is a stone collector living in Banglabazar, two and a half kilometers from Jaflong. He either walks or takes a boat ride from his home to work. Everyday he collects three boat fulls of stones and earn 150 taka ($ 2.17) per boat. Uses of modern machinery like cranes have caused stones to become extinct in some places in Piyain. For this reason the stone collectors have to work hard. 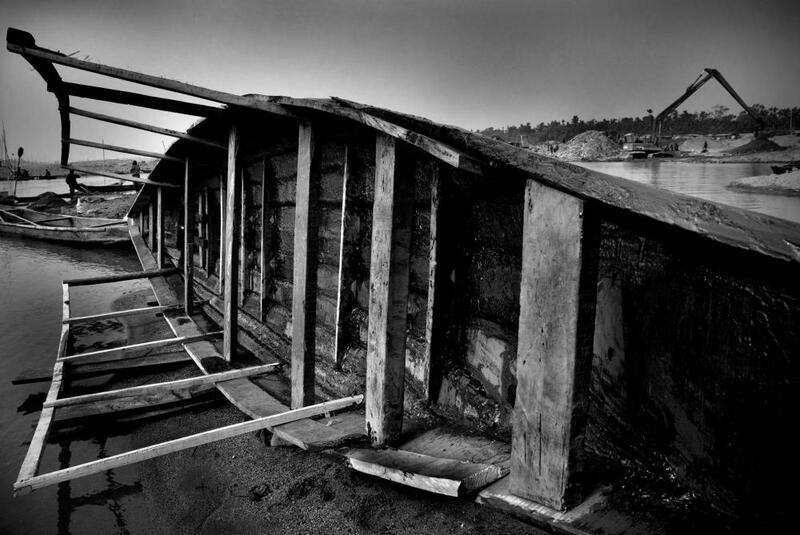 Every night with their boats they travel upstream to collect stones and dock it on the banks ready for supply. Probad Das (age 67) and Priti Rani Das (age 39) are a couple working together as stone laborers. They are working here for four years. They have two daughters. They used to earn 400 taka ($ 5.79) per day before. But now each of them earns 150 taka ($ 2.17) per day. Some day they only get 80 taka ($ 1.15) for their work. Babul (age 32), Faruk (age 35), Manik (age 29) and Joinal (age 31) are loading a truck with broken down stone chips. These are transported to the city, to be used at multistoried construction sites. 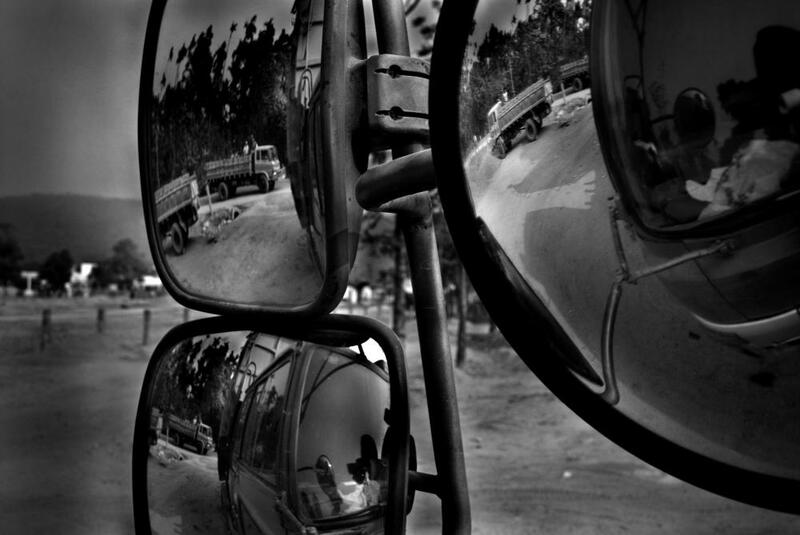 They are also used for building roads and highways in different areas of Bangladesh. Kalam Ali (age 26) has been working at a stone crushing machine for last four years. He knows there are many risks in stone crushing. He covers his face using his Gamchha (local weaved cloth), as an attempted safety measure from breathing in dust particles. Stone collector Abu Bakkar bathing at the bank of the Piyain River after finishing his work. Shapna (age 13) works as a stone collector. Sometime she does not work because of her childish pranks. She is not old enough for the work. Between working hours, she travels by her brother’s boat for fun. 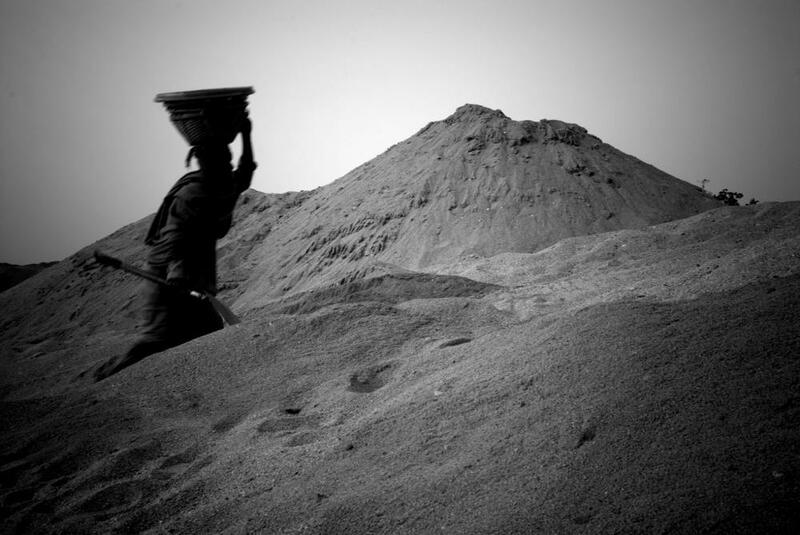 Alya Begum, a stone crusher and mother of two children, could not go to work because of illness. But without her wages she does not have money to buy food and medicine. There is no sick leave in this stone industry. 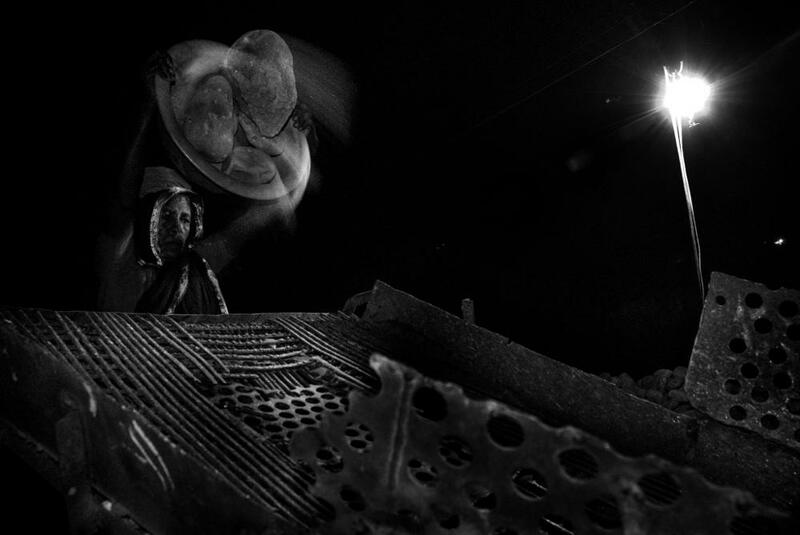 Sufia Khatun (age 43) is working at a stone crusher machine, putting large stones into it. Sometimes she works through the night. This is hard work and she puts in as many hours as she can, without any “overtime” payment. 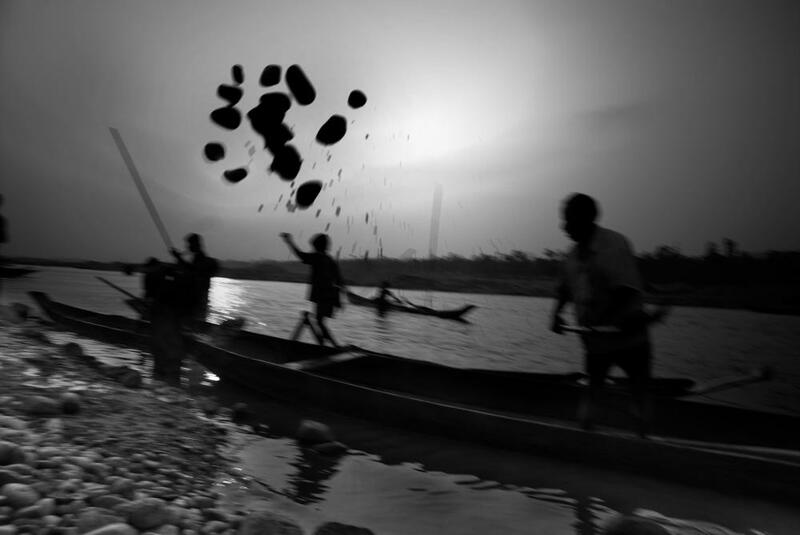 Stone collectors washing stones along the Piyain River in Jaflong, Sylhet, Bangladesh. 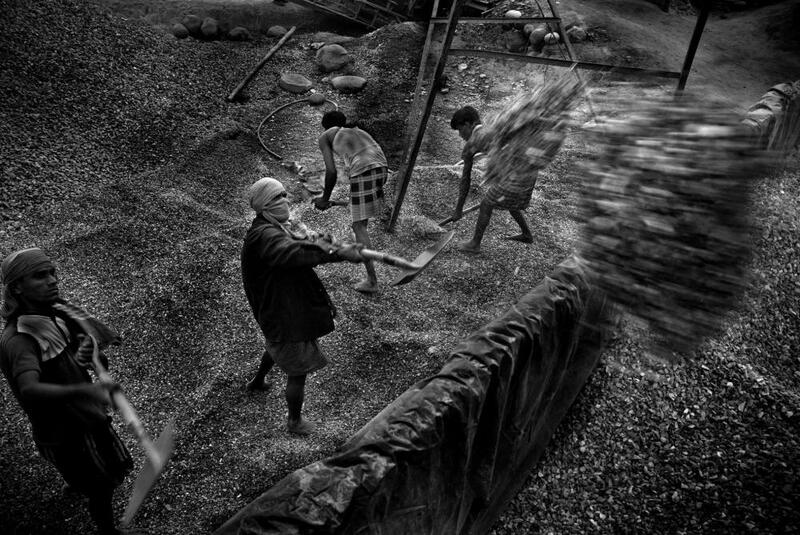 More than 2000 men, women and children are engaged in the stone crushing industry along the river bank. Every day workers come here with spades and carriers to dig the land and pulled out stones form the land. During the winter season the Piyain River becomes dry. It divides Bangladesh and India in the border area. Working for their living, Abbas Ali, Mohammad Shah Alam, Saifur Rahman, Liakot Ali are stone collectors here for about five years. 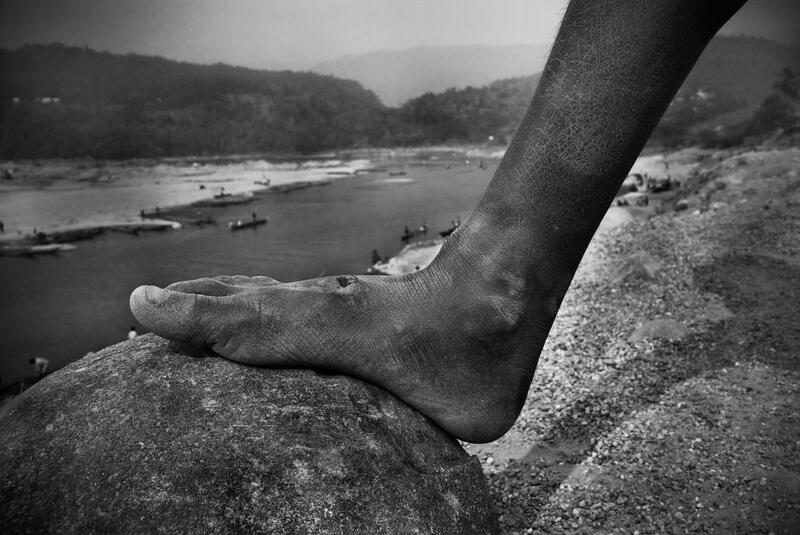 They extract stone by pulling them from the Piyain River in Jaflong, Sylhet, Bangladesh. Rajiv Das (age 42) is working at stone crusher machine. His job is to remove the byproduct of stone dust. 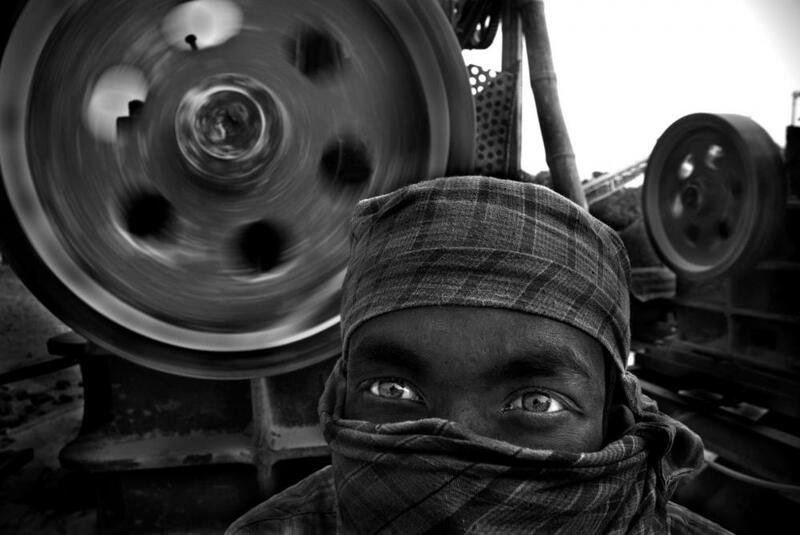 He realizes that this work is hazardous, as one breathes the dust while working here. Many workers like Rajib Das doing the same duty. Not only collecting stone, they engage themselves in social work as well. 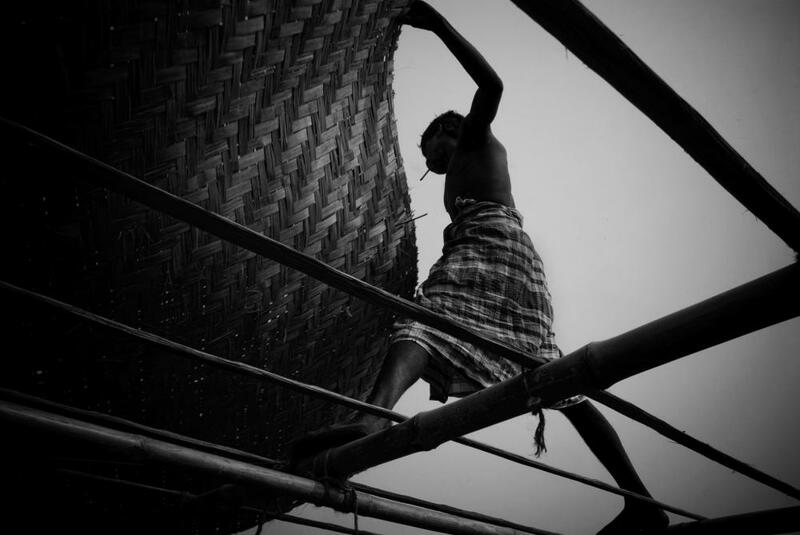 Here a stone laborer is building a mosque with bamboo and a bundle of corrugated tin, which is being donated by the laborers. Trucks, the only means of transportation, working hand to hand with this industry for decades. Dawn to dusk they collect, workers unloading stones on the bank of the river from a boat. The Piyain River is the main feature and natural beauty of Jaflong which flows from India through Bangladesh. 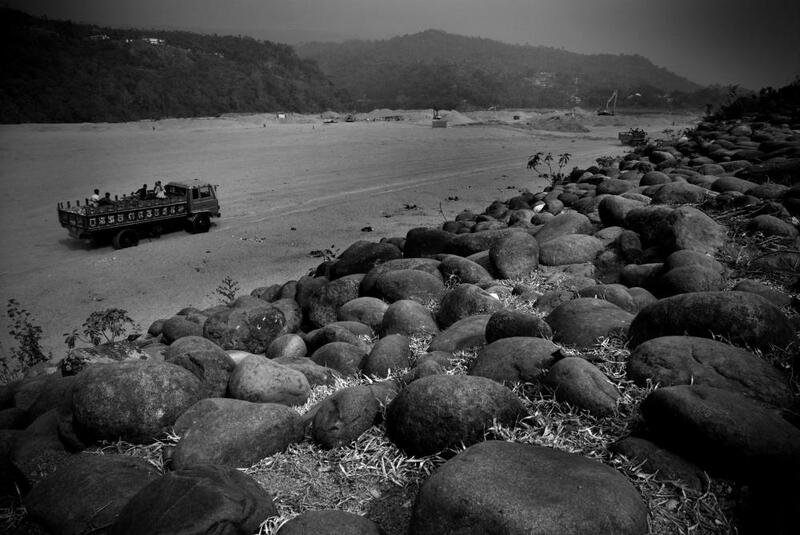 During the monsoon, the river currents wash down precious rocks and pebbles from India into Jaflong area. 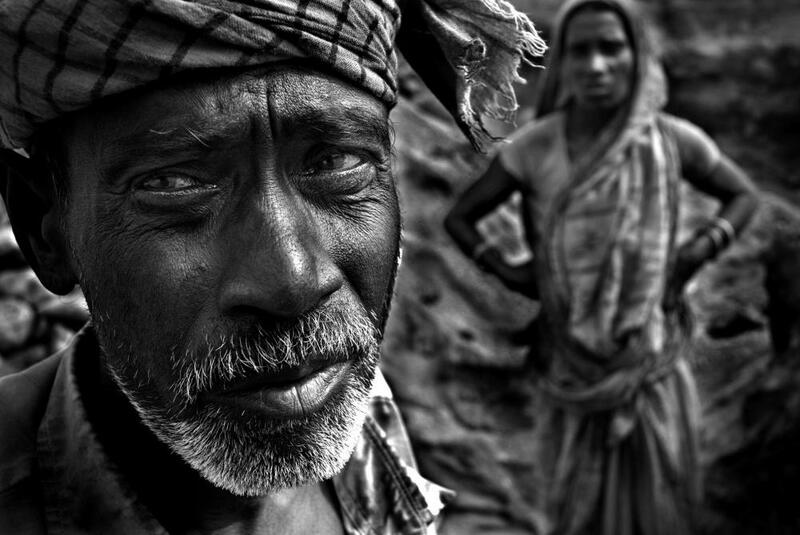 Kobir Das (age 68) is a manual worker of stone. His village is in Dhirai. He has been working here for 10 years. He is a father of four sons and four daughters, but they do not take care of him. Therefore he still has to earn his own living. Earlier he used to earn 600 taka ($ 8.69) everyday. But now he earns 80 taka ($ 1.16) to 120 taka ($ 1.74) because there are many cranes being used. He fears losing his job in the coming years. Uncontrolled stone-crushing at Jaflong, is posing a serious threat to the environment, public health, and agriculture. Experts apprehend that the arable lands at this area will lose productivity to a large extent and biodiversity will face severe threat in the near future if the government does not impose restriction on indiscriminate stone-crushing. The Piyain River is dry during winter, where for decades uncontrolled and hazardous stone extraction is going on. Many children are utilized in collecting stones. This boy is collecting stones and a bucket of stone chips which will pay him 5 taka ($ 0.071) at the end of the day. 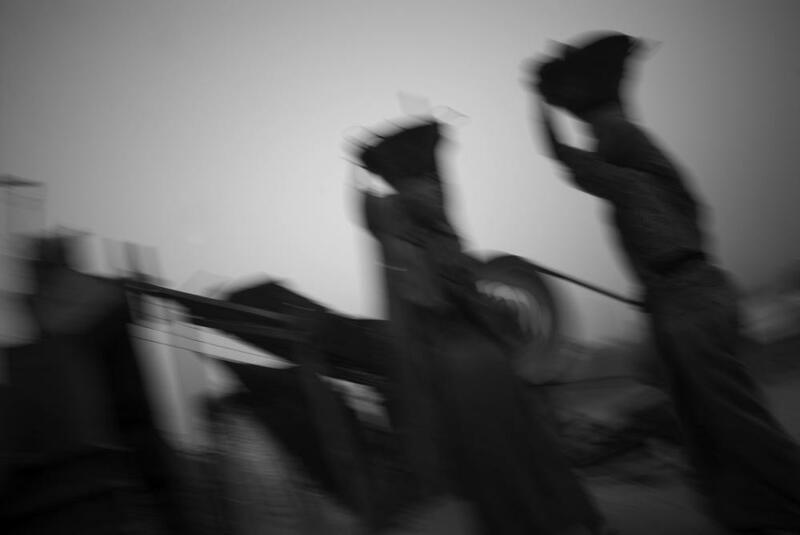 Women labourers are engaged more because their labour is less expensive then men. 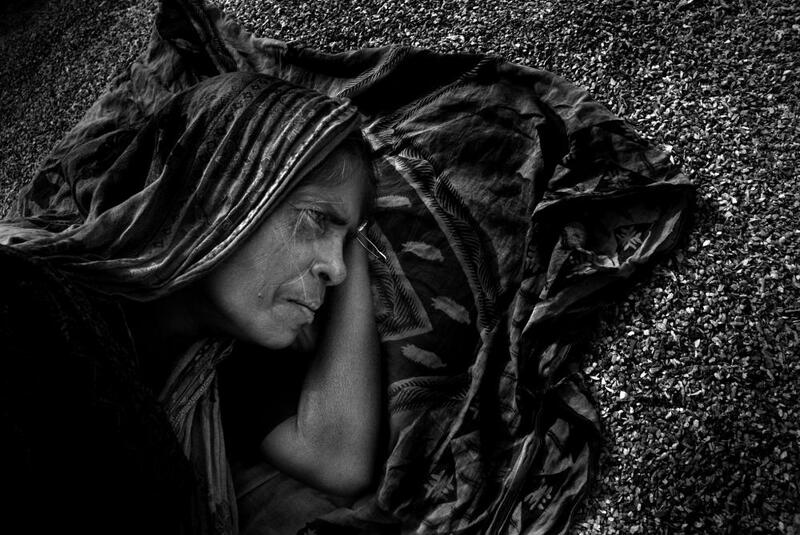 Rajia Begum (age 48), a hard working stone labourer. She is on her midday break, using the time to get some rest before she starts again. 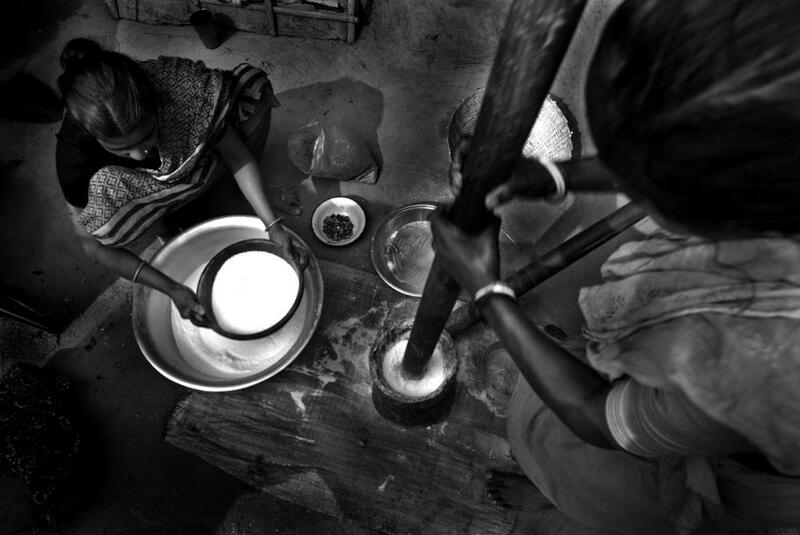 Women from Hindu community grinding rice for making cakes on "Paus Shankranti" festival at the end of Bangle month "Paus". Hindu stone workers do not go to work on that day. 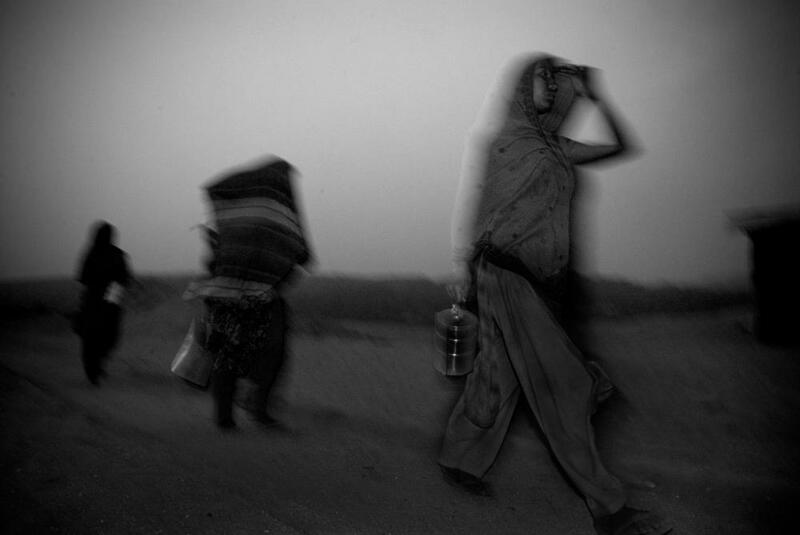 After finishing their work, some women laborers come back to their home at sunset. Some labourers worked the whole night. Because they know as much as they work, they paid money for that. Man and machine unite working day and night, to spin the life circle of the industry. Though there is light on the machines, there is no emotion. 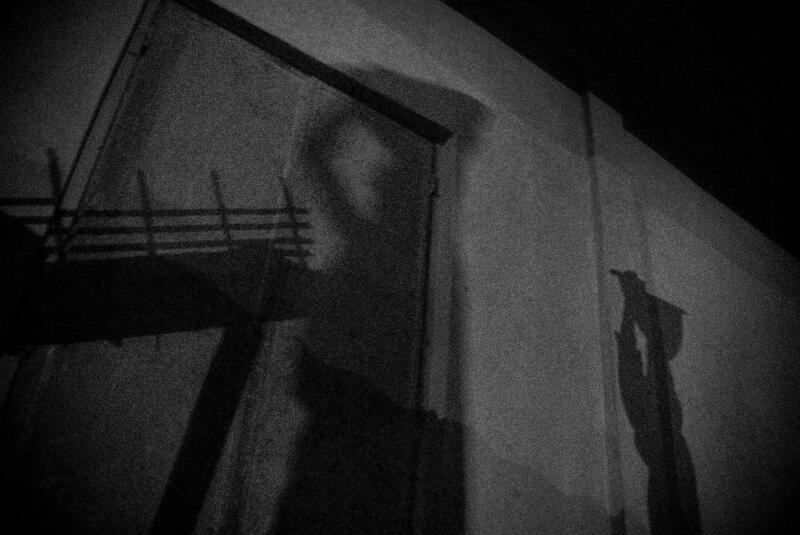 On the other hand there is emotion in the labourers but a constant darkness is taking over their life.